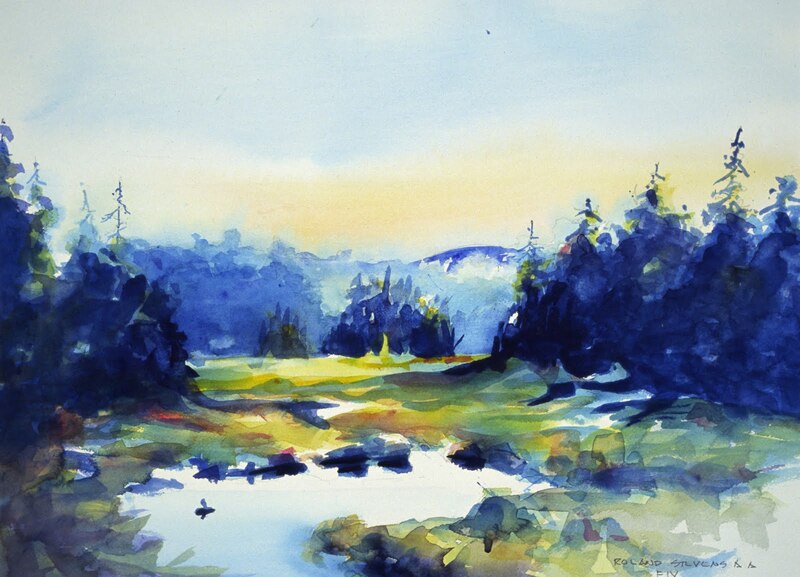 Wayne County Council for the Arts is pleased to present Watercolors by Roland “Chip” Stevens. Roland is one of the noted watercolor artists in the Rochester, New York area today. His continuous growth and development as a plein air painter in his pursuit of watercolor has enabled him to be accepted into numerous national, state and regional juried exhibitions. A native of Rochester, NY, Roland resides in Pultneyville, New York with his wife Georgia, who is his enthusiastic supporter. Upon graduation from Syracuse School of Architecture, Roland studied privately with Jossey Bilan, a noted painter in Keene, New York. For the past thirty years, he has had a career as a county planner and architect. In addition to his art that he has been pursuing more avidly since retiring as an architect, he has found more time to sail, ski and travel. Mr. Roland will be teaching an Intermediate Watercolor class at Wayne Arts, Monday thru Friday, August 22nd – 26th (9:00 am – 4:00 pm). Daily attendance available. For registration, supply list and questions contact Wayne Arts at 315/331-4593. In the Members’ Gallery we are presenting the “Wayne Arts Student Show”. Pieces of art from our various adult classes including drawing, pastels, oil painting, watercolor, sculpture and our children’s classes will be shown. The Exhibit will run from July 7th thru July 30th. The public is invited to an opening reception to be held on Friday, July 8th from 5:00 to 7:00 pm. 1 Comment to "Wayne County Council for the Arts Presents Watercolors by Roland "Chip" Stevens"
Watercolors by Roland Stevens are also available at Artisans' Loft in Pultneyville where his work has been on continuous exhibit and offered for sale since the gallery first opened in 2005. Mr. Stevens is a popular watercolorist among over sixty local, regional and nationally acclaimed artists represented by the gallery which offers an eclectic mix of work in a broad price range which includes oils, pastels, watercolors, metal sculptures, glass, wood, garden sculptures, jewelry, found object, handmade paper art ... and more.